What would you do with an extra 125 square feet of space in your shop? Just imagine the possibilities. That’s a good ballpark estimate of the space savings that can be realized by investing in a vertical panel saw to instead of a horizontal saw to size 5 x 10 panels. 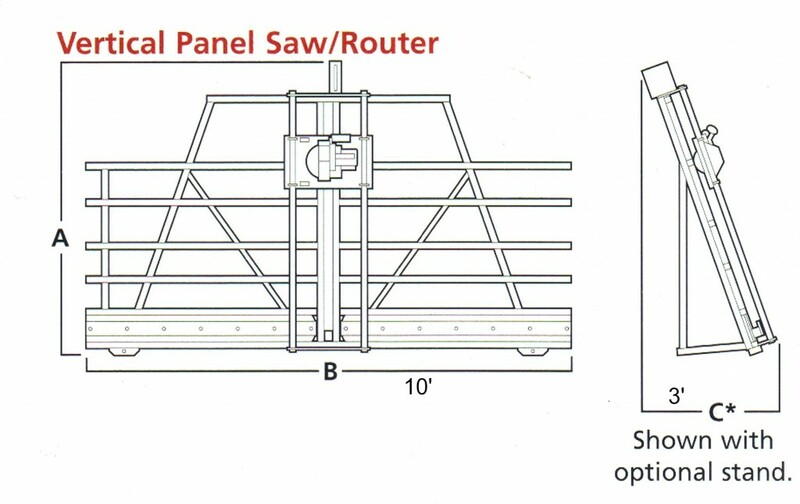 The smaller footprint needed to saw vertically as opposed to horizontally – about 75 square feet vs. 200 square feet – is just one of the more obvious advantages of vertical panel saws. Two other benefits that standout are ease of use and operator safety. Brian Donahue, president of Safety Speed Manufacturing of Ham Lake, MN, said it’s common for first-time vertical saw customers to already have a table saw in their shop. 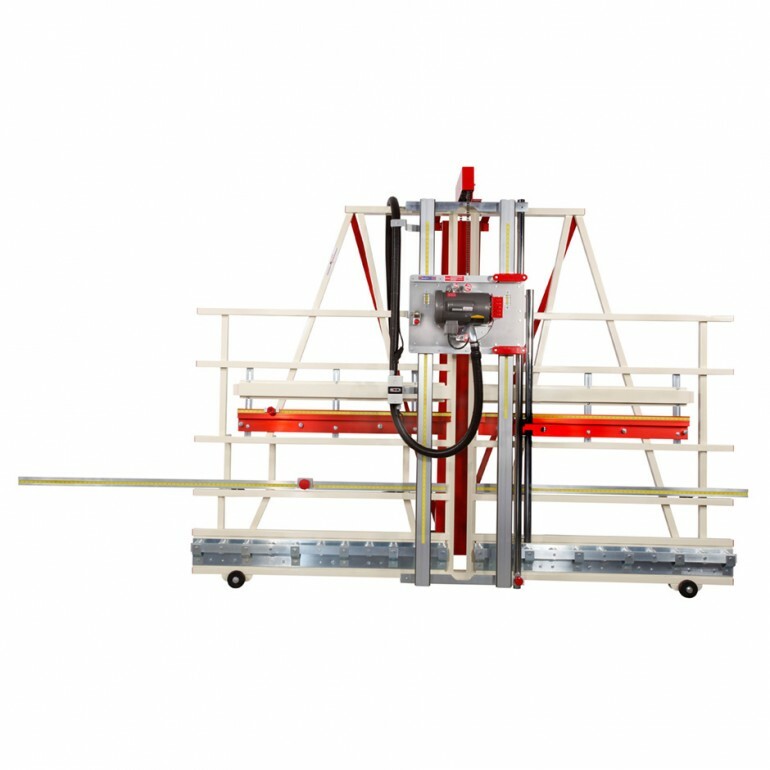 “Unfortunately for us many wood customers start with a table saw so we have to show them the advantages of the vertical panel saw to get their business. Those advantages include ease of use, high accuracy, less space requirements and a safer cutting process than a table saw. Career and technical education and training facilities. Safety Speed also offers compact vertical panel saws that can be toted to jobsites and moved around as needed. Safety Speed offers 15 standard models of vertical panel saws ranging from about $1,500 to $21,000 in price. The company’s website includes the ability to perform side-by-side comparisons of two or more models. What substrates are you cutting? What is the largest sheet you cut now and might cut in the future? How often do you cut sheet materials? What is the end-use application? Houska added that a prospective customer can always count on talking to a knowledgeable “live voice” to guide them through the selection process by phoning 800-772-2327 Monday through Friday between 8:00 a.m. and 4:30 p.m. (CST).